Not all vinyl fencing is the same. There are several grades of product on the market and the quality varies significantly. We sell and install only premium grade vinyl. Vinyl fencing is a durable, low-maintenance option. We can install multiple styles to meet your needs whether you want total privacy or fencing that allows for a view while keeping kids or pets in your yard. Vinyl fencing is very popular along the Wasatch Front, but if you want cedar, chain link, metal or even Trex fencing, we do it all and we do it well. Our goal is to provide the greatest price! The greatest price isn’t only competitive; it includes material warranties, install warranties, wind warranties, gate warranties, trust, dependability, knowledge, sound business practices, and much more. 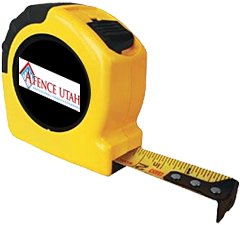 We are a local Utah fencing company specialized in providing services in Salt Lake City, Layton, Bountiful, Kaysville & Sandy. We sell and install vinyl fences, privacy and picket fences for customers looking to make their home or business even more beautiful. why are we the best option in Utah?